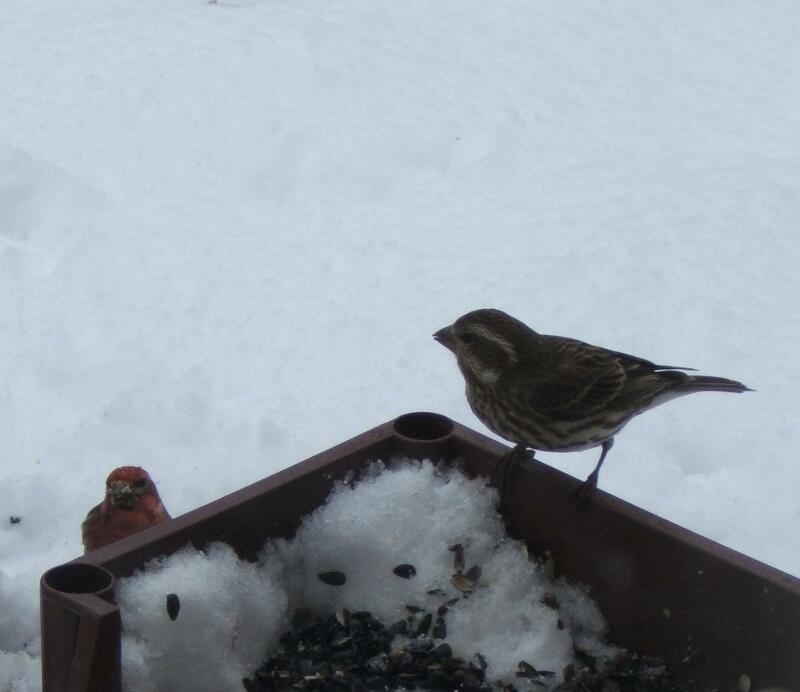 After our heavy snow last week, the birds were all looking for perches and easy feeding. A few Chickadees and Pine Siskins were at the feeders early. Pine Siskins (Carduelis pinus) are fidgety little birds, staying at the feeder to get their fill, but ever vigilant and looking over their shoulders. They are heavily striped, sometimes with yellow bars on their wing feathers. They also have sharp beaks. Because the Pine Siskins are striped, I confused them at first with female Purple Finches. The female Purple Finch is also striped, but is a slightly bigger, chunkier bird. Its beak is large and wedge-shaped, and it has no yellow coloration. What a wonderful drawing, Jane! We don’t have a bird feeder this year–for the first time in 30 years–so am missing seeing some of these birds up close. Still throw handfuls of seed on the ground, but the only birds around thus far are chickadee-dee-dees. 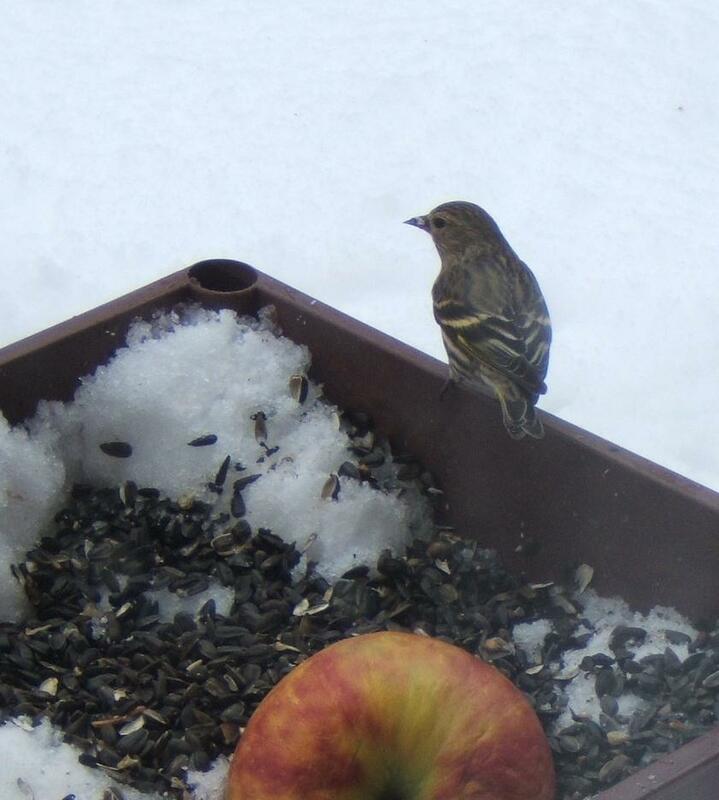 The pine siskin and the purple finch do look remarkably alike. Your drawing is delightful, as always! 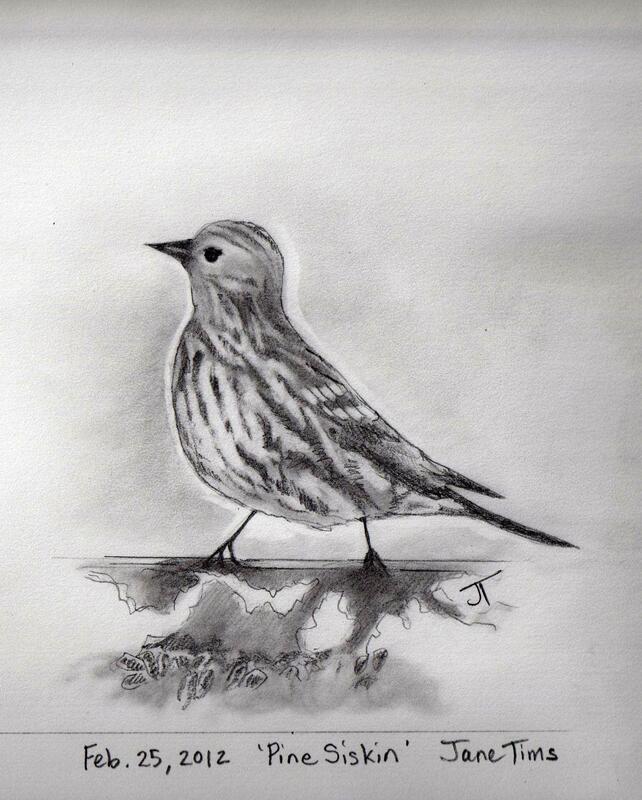 Jane, I sometimes confuse Siskin’s with female Red Polls. They are the same size and are striped and in poor light you can’t always see the scarlet red on the head of the Red Poll. It all serves to make birding so very interesting!